She stood at the foot of the bed, the gentle breeze of the night blowing through the open window. Below her lay her benefactors, asleep and content. She smiled gently, silently thanking their kindness in offering rest and shelter to an old woman such as her. With great care and delicacy, she laid on the wife’s pillow a huge gold coin, the like of which had not been seen for centuries. The old woman paused a moment, reflecting on her longago days as an adventurer, and as the curtains blew aside and the moonlight bathed her, she transformed into a beautiful white fox with nine tails, and leapt out the window into the night. These trickster shapeshifters are among the most playful fey races. Kitsune delight in mischief and playing tricks on others, though usually they do so without malicious intent. The rare few who follow an evil path are called nogitsune. Both nogitsune and kitsune are possessed of a spirit of curiosity, and neither can long stand to stay in one place. As perpetual wanderers and explorers, they are wonderfully suited to the adventuring life. 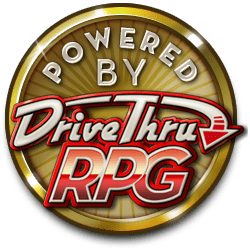 With this Freebie, we are continuing our support of the fastest growing incarnation of the oldest RPG in the world. Use this PDF to add an acquatic PC or NPC to your campaign or start a campaign focused around them. With three pages of content, get to know the Kitsune, a race of shape-shifting Fey that may be perfect for your setting! I've tried downloading it a couple times, and it's always just three blank pages. Mark, that's odd, it seems to be working fine when we do it. Please contact me directly at krohan@silvergryphongames.com and we will get you hooked up!